Held at Mmabana Head office Studio 1. The House of the Truth authored by the fine pen of Siphiwo Mahala, starring Sello Maake ka Ncube and directed by Vanessa Cooke. It was held at the world renowned Mmabana Mmabatho Arts, Culture and Sports Headquarters Studio 1, situated in the culture rich Mmabatho in Mafikeng.It is important to acknowledge the authorities in theatre involved in this production, Sello Maake ka Ncube is undoubtedly one of the people who have contributed immensely to the body of knowledge in threatre and television. The focus here of course is theatre, Sello has done it all! Been to most stages and stood under varying rays of light, seen all kinds of props on stage. Another authority is the esteemed Vanessa Cooke, whose bioghraphy reads like an encyclopedia, she is one of the founders of the Market Theatre and has been involved in theatre all her life, imagine! Not taking anything away from the production, the two authorities of theatre mentioned deserve all the gold we have. Going to Mafikeng to see The House of Truth was like going back home, since I spent an amazing part of my life there. I missed the seeing the production last year when I was still in the city of mine dumps, so the thought of missing it again in my second home heavily gnawed at me. I could not live with the thought of having missed the production for the second time. 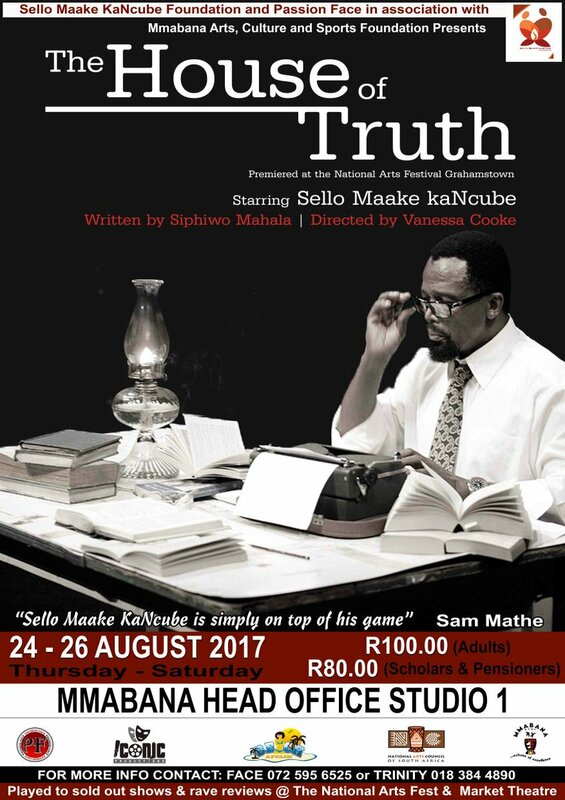 I went to Mafikeng partly to relief my fond memories of Mmabatho, Barolong cultural wealth and hospitality.Told myself that in no uncertain terms I would be late or miss out on purchasing a ticket for the penultimate production of The House of Truth in Mafikeng, since it has been running for three days. I arrived in Mafikeng from Kimberley fairly before lunch time and immediately contacted the person on the production’s flyer for the ticket. Unfortunately I couldn’t reach, thus headed to Mmabana Mmabatho Head office to find out. I met the friendly security personnel there and advised me that tickets will be sold from 4pm until 7pm, so I should come in the late afternoon for tickets. I heeded the advice and came back later for the tickets, to be quite honest one would think would not see a glimpse of the starring before the production because usually he/she will be cocooned behind stage or enter the building through a private entrance. Anyway while engaged in the conversation with one of my friends, who was admonishing me on my taste in art and how Euro traditional it is to see a production. Through the studio door, comes out Sello Maake ka Ncube with his wide smile, my friend being open groupie to people of tv, call out Sello and he extended his hand to each one of us. Promised to give us the sought after “selfie” with him, and I was just caught up in a awe by how “chilled”. No attitude or dramatic antics commonly to be a feature of people on the public eye. Anyway my friend left me at the venue, 7pm came and we started to stream in the venue, Studio 1 to be precise. Oh I should bring to your attention that Vanessa also was doing the up and down checking out I guess the props, venue and the atmosphere. I must confess could not make up who she was at the time in Mmabana only to find out when I checked who is the Director of the production, then I realized oh well the woman who was walking up and down was the Director. Hi there Vanessa, next time I won’t miss an opportunity to take a “selfie”. 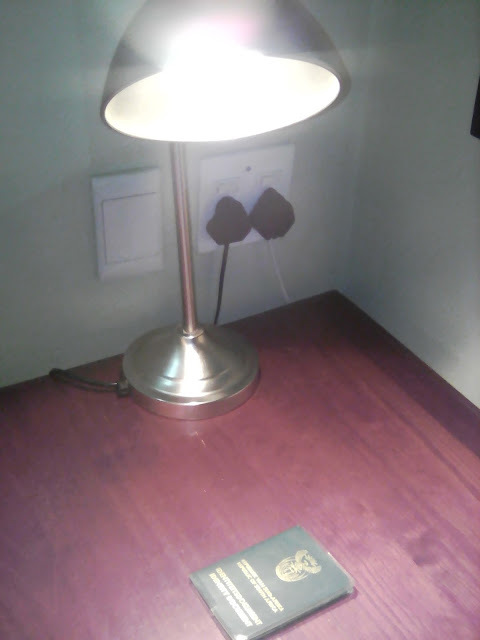 The House of Truth is production based on Can Themba, his body of work, reckless life style, his constant contradictions and conflict with the status quo at the zenith of Sophiatown. Moreover at a moment in history where protest journalism was instrumental in the liberation of black people. Vanessa, Simphiwo and Sello were at the cross roads to bring Can Themba to life or let him stay in the worm eaten pages of history books. Sello starred as Can Themba, this was a one man show that intended to show him across important phases of his tumultuous life. I managed to seat on the fourth row in Studio 1, for ten minutes Sophiatown music was blaring through the speakers overhead. The man of the show walked on stage! I was taken to the time of the beautiful Dolly Rathebe, Kwela, Crocket Jones and Dobbs. Speaking truth to power, where excessive consumption of expensive spirits was prestige and sleeping with white women was equated with reparations for the exploitation of our women by white men. The production gave a glimpse of the “Drum Boys” and how they positioned themselves in regard of being in touch with stories on the ground. I felt the spirit of Sol Plaatje to a large extend was invoked by the portrayal of Can the journalist, who did everything to give one a sense of the misery, crime and grime of apartheid. The risks and sacrifices involved to get that story on print and report to the masses. This was a biography, revealing once again the beauty of Siphiwo’s playwright prowess on stage and documenting a person’s life. 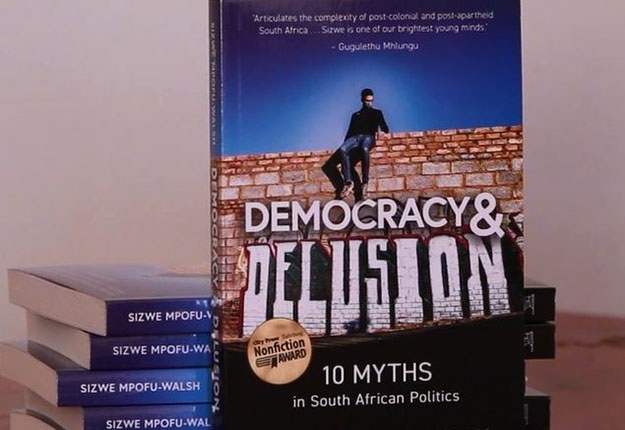 The play started earnestly with Can oozing with confidence, decrying the education system and status quo, being lured to khongolose at the behest of liberation struggle. Further give you sense of living at the time where heavy spirits where preserves for certain race. Not to give everything away, this production presents to you one of the finest writers of Sophiatown era and his time at the dawn of bulldozers razing everything he had known to dust. It gives you a taste of the kwela, the buffoonery of being certificated at a time where Afrikans where limited to perennial qualifications. It introduces you to ideas, contradictions and life of the 1950s. It ends with the man of the moment making a decision about his life that will herald his demise. The production did achieve its objectives of giving us Can Themba in his element and finest. The production makes you feel the texture of Dobbs and Crockett and Jones, everything about it locates you in the “hey days” of Drum Magazine and 1950s speaking truth to power through pen and paper. The lighting to the props on stage brought one to the time of discos and kwela, where suit and tie separated men from boys. It was an impeccably assembled production, it shows the wealth of authorities involved in it. On the flipside looking at the play I am at odds with the overall output, particularly being well conversed on Can Themba and key Drum Boys biographies. I have no reservations with biographies or any other form of bringing someone to life. I felt what the production brought out was body of work that is well known in regard of Can Themba. I think also I was irked the comfortability of the starring, there was no surprise from the lead starring, most of the things or theatre antics I was familiar with, thus it didn’t tickle me or move as much as other revelers. The accent and posh English wasn’t adequate for me, Can Themba as much he was meticulous on his pen, I think he didn’t sound Oxford or Cambridge when he was down Sophiatown. I missed the infamous authentic Tsotsitaal of the 1950s. I remember one author once told someone who expressed dissatisfaction on how the story ended on his novel, plainly said “write your own story and end it the way you like it” I hope I won’t be subjected to that here. I think the playwright should have introduced us to something new in regard of Can Themba or alternatively contrasted his ideas in the theatre. What our father Dambudzo will say going against the norm or standard, seeing “possibility in the impossibility” in the context of 1950s and dominant ideas of Sophiatown. I think the production could have gave us fresh of breath air in regard of Can Themba because I believe Can Themba, was more than cigarettes, kwela, whisky, sleeping with white women, certificate buffoonery, pen and paper, protest writing, holding sour grapes for teaching salary. I believe at once he loved someone, was a teacher and father to someone. Nevertheless go see it, it’s worth every cent of your sweat. Ngwana MMU ke leboga go menaganane,tshegotso ga gago e botlhokwa thata. I am happy I managed to do that.